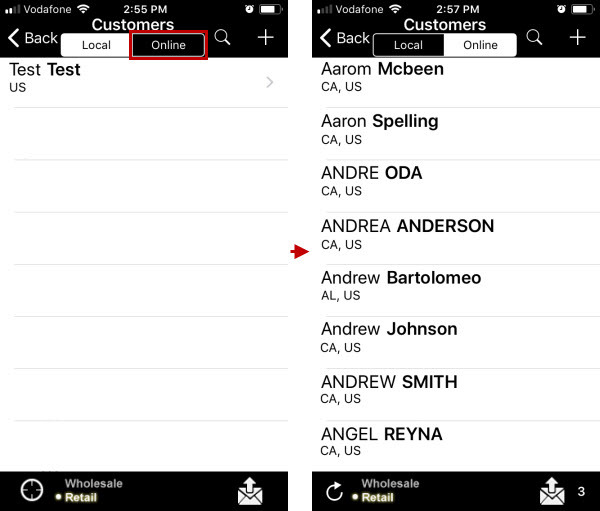 Now you can see not only the list of retail customers that were created in mobile application on your device (local list), but also the full list of retail customers available in the Back Office application (online list). 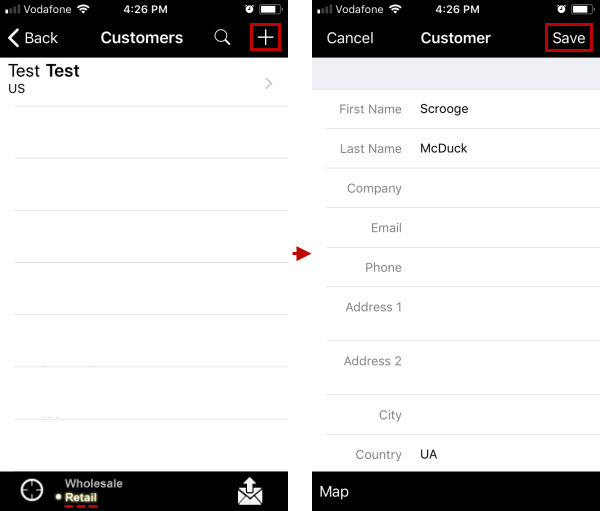 On the Home screen, tap Customers, and then on the Customers screen, tap the Retail mode on the bottom toolbar. 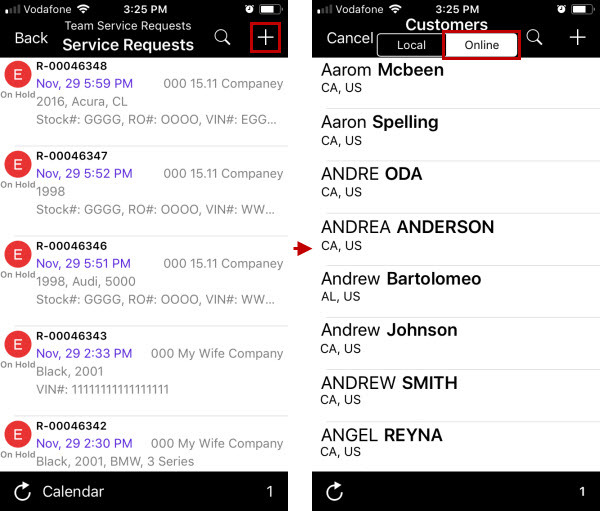 On the top toolbar of the Customers screen, tap Online. Tip If the Online list is too long you can search the appropriate retail customer. 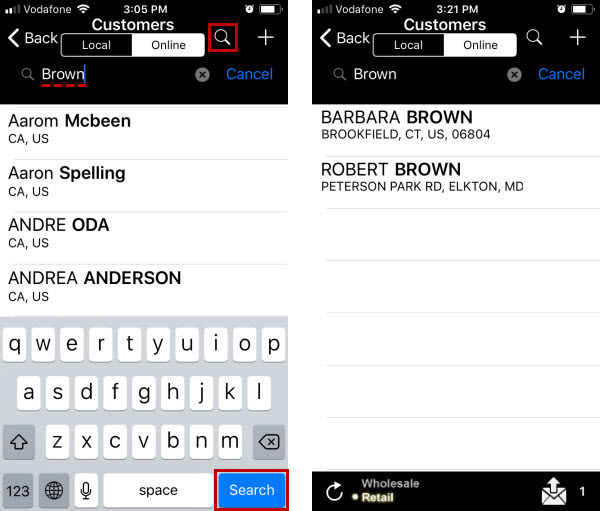 Tap the Search icon, type first name, last name, phone or email of the retail customer that you want to find. 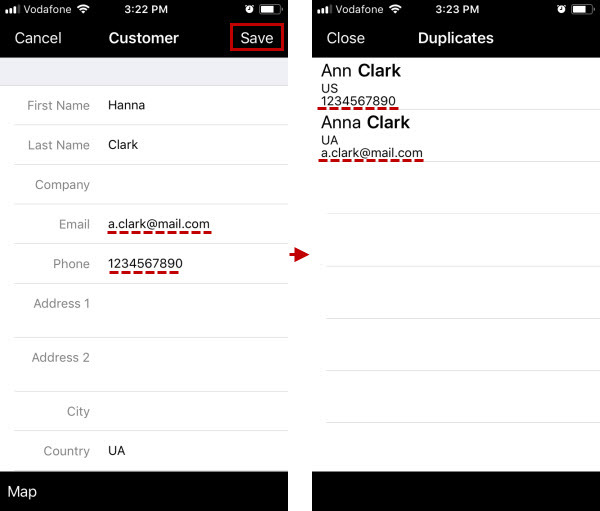 Note When you save a retail customer to the Local list with the same email address or phone number as an existing retail customer from the Online list, the list of duplicates is shown so that you can select an existing retail customer from the full list instead of creating a new one. 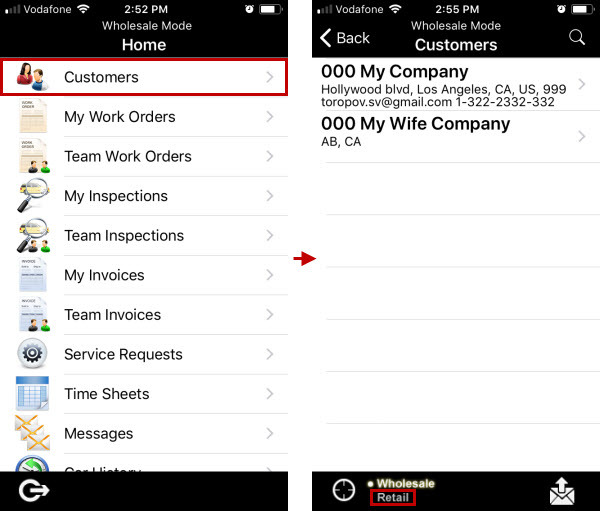 You can also search and select retail customers from the Online list while creating a service request, inspection, and work order. 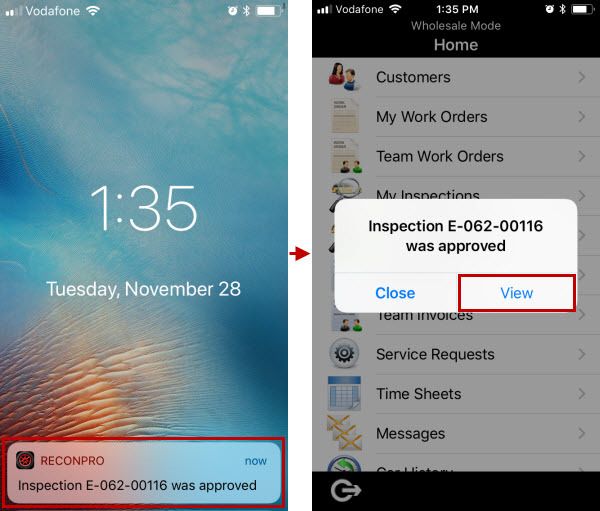 Note When you create a service request, inspection, or work order for a customer from the Online list, this customer is automatically saved to the Local list. 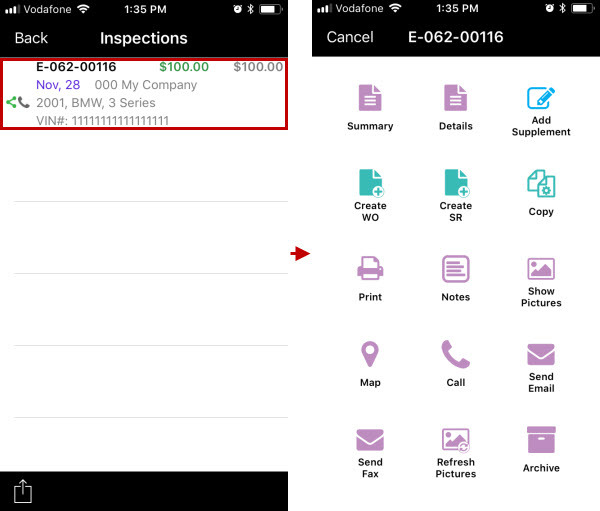 ...to see and manage service requests, inspections, work orders, or invoices related to notification. Note The appropriate entity must be selected in the On click open box of the appropriate event message template in the Back Office application. 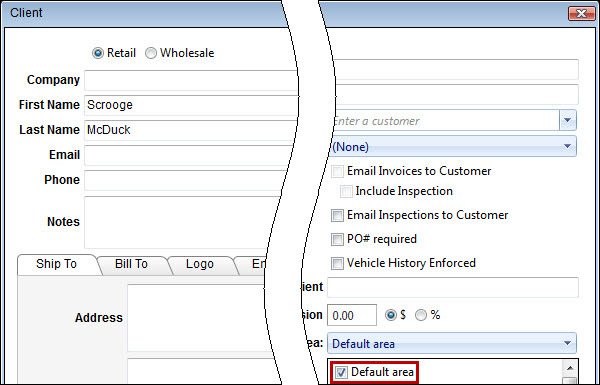 ...the area of your team is automatically set as the area of this customer.